Since visiting the Ann Sullivan Center (CASP) in 2013, I have been searching for programs in NYC that offer support to students transitioning from high school to the real world. I had the opportunity this week to attend a presentation about the Winston Transitions program in Manhattan. Winston Transitions is a new program for students with learning difficulties particularly in the areas of language, attention, processing, executive functioning, and social/emotional skills. The presentation was given by John Civita, Director of Winston Transitions, and Elizabeth Mendelsohn, COO at Winston Prep and Director of the Winston Innovation Lab. I found the Winston Transitions presentation to be extremely informative with respect to addressing the needs of students who are transitioning out of high school but not yet ready to move on to college or work. The school offers a full-time program as well as a part-time option for those students who may be otherwise engaged with college or work. The full-time program occurs five days per week roughly from 9:00 a.m. to 3:30 p.m. Through constant assessment, the school identifies the needs, abilities, and interests of each student, and customizes each student's program accordingly. The school's academic curriculum focuses primarily on reading, writing, and math. Classroom instruction occurs in small groups and is highly individualized. Through the FOCUS program, students have the opportunity to receive 1:1 instruction in areas of need. Much of the workload is project-based, affording students an opportunity to work independently and seek out assistance as needed. 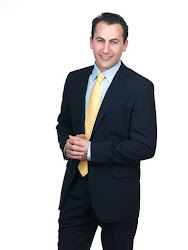 There is also a heavy emphasis on social and interpersonal skills. One of the aspects of the school that impressed me the most was the internship program. Internships occur two days per week for roughly ten hours per week, and are tailored to the students' particular interests and strengths. In order to foster independence and self-advocacy, students do not receive the support of job coaches. Instead, constant collaboration occurs between Winston Transitions and the students' internship supervisors. Students also receive training and feedback at the center, which provides an opportunity to reflect on the students' internship experiences, discuss how to handle internship-related situations, and practice the skills necessary to succeed in a work environment. This practical piece, in my opinion, is crucial to the learning process, and I was amazed by the manner in which the school has been dealing with it. Winston Transitions is affiliated with Winston Prep, a highly-regarded special education private school for students with language-based learning disabilities, but students need not have attended Winston Prep in order to be admitted into Winston Transitions. It is also worth noting that the school building is conveniently located at 240 Madison Avenue not far from Grand Central station. The floor includes a living room space, an activities room, classrooms, a kitchen, and a recording room (used to create podcasts), and offers a warm learning environment for its students. A substantial number of the families enrolled at Winston Transitions receive government funding pursuant to remedies available under federal and state law for students with disabilities who have been denied an appropriate education by their local school districts. Students who have received a high school diploma may not be eligible for such funding. Parents should be mindful of this and consult an attorney for advice regarding how to approach this issue. 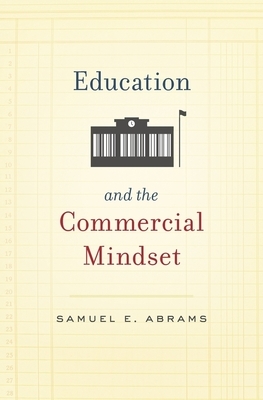 Samuel E. Abrams is the Director of the National Center for the Study of Privatization in Education at Teachers College. 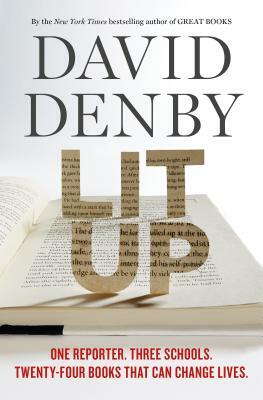 David Denby is the author of Great Books, "an acclaimed account of returning to college and reading the Western classics during the curriculum wars"; American Sucker, Snark, and Do the Movies Have a Future? He is a staff writer and former film critic for The New Yorker, and his reviews and essays have appeared in The New Republic, The Atlantic, and New York magazine, among other places. He lives in New York City with his wife, writer Susan Rieger. Throughout school I hated History. I dreaded going to class, doing the homework, and studying for my History exams. I complained that it was "boring" but what that really meant was that I found it challenging to process and understand what I was learning because I had difficulty imagining myself in the shoes of the people I was learning about -- people of different cultures from my own, who were from far-flung countries that I knew little about, and who lived in distant times in the past. Because I was a diligent student who cared deeply about succeeding academically, my difficulty with History was a big blow to my confidence. I developed a strong aversion toward it and avoided it as much as possible. Over the years, this weakness nagged at me. At some point I decided to do something about it and began brushing up on my own through books, movies, travel, and other forms of learning. Today I am fascinated by History. When I recently became acquainted with an organization called Facing History And Ourselves, I was immediately intrigued. Facing History is a non-profit international educational and professional development organization whose mission is to engage students of diverse backgrounds in an examination of racism and prejudice in order to help students make the connection between history and the moral choices they confront in their own lives. I have had the opportunity to learn more about the organization by familiarizing myself with its pedagogical principles, observing a classroom lesson, attending a teacher training workshop, and interacting with instructors and program directors. For example, during the class I observed, I listened to students discussing a piece of art depicting the Holocaust and considering what the artist may have been thinking or feeling while creating it. During the teacher training workshop, I listened to a room full of educators debating Indian Residential Schools (schools that were set up to re-educate Native American children by stripping them of their Native American heritage in order to get them to assimilate European customs) and considering what activities and exercises they might use in the classroom to teach this lesson to their students. The workshop sparked debate about identity, morality, racism, and religious/cultural intolerance. I have also found the reading materials to be well-organized, manageable in size, and thought-provoking. I am amazed by how the program forces individuals to examine history through a critical lens -- considering difficult issues such as racism, discrimination, and genocide -- and asking important questions about what led to these events, how they could have been prevented, and what lessons can be derived for the future. Facing History emphasizes that the atrocities of the past didn't happen in an instant but, rather, in many cases they were the result of years of cultural and societal tensions. What I find most impressive about the program is how it connects the past to the present. I think Facing History has the power to help young students understand what I could not -- that history is intertwined with and relevant to our daily lives because we have the ability to draw from the lessons of the past to positively influence the present and future. For more about Facing History, you can visit https://www.facinghistory.org/.